Upon arrival at the airport, meet & greet by our representative, transfer to hotel for check-in. Enjoy the breakfast at the hotel to welcome the fresh day in Delhi. 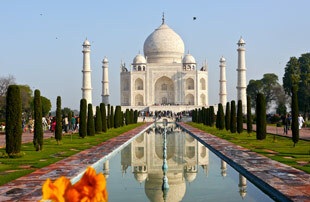 Around 09:30am, meet with the tour guide, prior to the sightseeing of Old Delhi & New Delhi. When pass through alleyways, it seems getting narrower and we end up at the Jama Masjid which is the largest Muslim mosque in India. You can also enjoy the Rickshaw ride crossing the streets in Old Delhi. Also visit Raj Ghat – the cremation site of Mahatma Gandhi. Later head to New Delhi for the sightseeing tour, which includes visit to Qutab Minar, India Gate, a 42 meters archway built for memorial of Indian soldiers killed during the First World War. Watch the famous War Memorial Arch and see the contrast between old and New Delhi. Carry on our tour, drive past Rashtrapati Bhawan. It was initially constructed as the Imperial residence of the Viceroy in the early 20th century. Nowadays, it becomes the current residence of the President of India and Parliament House. This unique circular architecture was built with huge colonnades which house the Upper and Lower House of Parliament. Later proceed to the Government secretariat buildings at Connaught Place where the heart of New Delhi as well as the busy shopping centre are. Also visit Humayun’s Tomb built in 1565 AD & Birla Mandir. Morning breakfast at Hotel. Later on time transfer to the Airport to connect flight for Udaipur. On arrival in Udaipur, our Representative will meet & greet at the Airport. He will transfer guest to Hotel for check-in. Late afternoon, enjoy boat cruise at Lake Pichola. Overnight stay at Hotel. 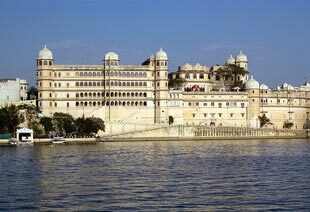 Udaipur city of lakes is regarded as one of the most beautiful cities in all of Rajasthan. Founded by Maharana Udai Singh ji, the city’s epicenter of tourist activities is Lake Pichola. Lake Palace hotel built on the lake in white marble is a luxury hotel. The City Palace on the banks of the lake Pichola has several carved balconies, arches and decorated pillars, Zenana Mahal, Crystal Gallery in Fateh Prakash, Durbar Hall and Shambhu Niwas. Other sites worth visiting are Jagdish temple, Sahelion-ki-Bari (queen's resort for the friends) and Fateh Sagar Lake. Morning after breakfast, proceed to Puskhar. On arrival, check-in at Hotel. Rest of the day free for leisure. Overnight stay at Hotel. Pushkar, one of the oldest cities in India, which lies on the shores of Pushkar Lake. The date of its origins is unknown, but legend associates Lord Brahma with its creation. It is mentioned that Brahma performed penance here for 60,000 years to have a glimpse of Vishnu. Morning Breakfast at Hotel and proceed to visit the most famous Brahma Temple, said to be one of the few temples in the world dedicated to this deity. It's marked by red spire, and over the entrance gateway is the hans, or goose symbol, of Brahma, who is said to have personally chosen Pushkar as its site. 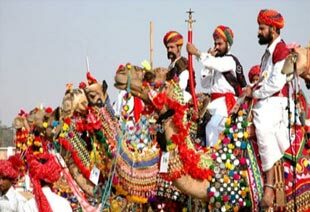 Also visit Pushkar Lake and Ghats. Later leave Pushkar for Jaipur by surface. Upon arrival at Jaipur, transfer to hotel for check-in. Morning after breakfast, excursion to Amber Fort set in a picturesque location. Amber is a fascinating blend of Hindu and Muslim architecture. Built in the 16th century by Raja Mansingh in red sandstone and white marble, the palace complex has some very interesting apartments. 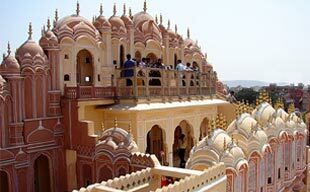 Jai Mandir, Sheesh Mahal, Sukh Niwas, Ganesh Pol and Temple of Kali are some of the prominent areas of interest. Elephant Ride will be provided to ascend the fort (Between 0730 am – 1130 am, subject to availability). Afternoon starts the sightseeing to visit Jaipur City. This city was built by Maharaja Jai Singh, the notable astronomer 260 years ago. Visit the Maharaja’s City Palace, the home of the erstwhile royal family and the open-air Jantar Mantar Observatory to see the vast astronomical instruments. Drive past Hawa Mahal or the Palace of winds built in 1799 by Maharaja Sawai Pratap Singh & also drive past the old part of Jaipur. Morning breakfast at hotel and on time check-out from Hotel. Afternoon drive to Ranthambore. On arrival at Ranthambore, transfer to the hotel for check-in. Overnight stay at Hotel. Enjoy morning and evening safaris at Ranthambhore National Park. Ranthambhore National park is spread over an area of 392 sq km. along with its nearby sanctuaries like - the Mansingh Sanctuary and the Kaila Devi Sanctuary. The park is majorly famous for its tigers and is one of the best locations in India to see the majestic predators in its natural habitat. Lunch / Dinner will be provided at Hotel itself. Morning early breakfast at Hotel and after check-out, driver further to Bharatpur. On arrival in Bharatpur, check-in at Hotel. Afternoon proceed for sightseeing of Bharatpur. Visit Bharatpur Bird Sanctuary on rickshaws. The most spectacular water- Birds Sanctuary features nesting of indigenous water- birds, migratory birds. From October till December, the indigenous water- birds nest around the lake from December on the migratory Geese, Duck and Cranes are the main feature of the sanctuary. Overnight stay at Hotel. Morning leave Bharatpur for Agra. En-route visiting Fatehpur Sikri. The shortages of water lead to the desertion of this city. 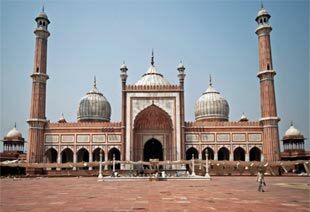 Visit the mosque of Salim Chishti, Panch Mahal and other Palaces. After visit, continue drive towards Agra. Upon arrival, transfer to Hotel for check-in. Afternoon visit Agra Fort, located on the banks of the river Yamuna, is the imposing structure replete with priceless examples of craftsmanship in the Mughal period and including the beautiful pearl Mosque which was designed and built by Emperor Akbar in 1565 AD. Afternoon drive further to Delhi. On arrival, check-in at Hotel. Overnight stay at Hotel. Morning Breakfast at Hotel. Later on time check-out from Hotel and directly transfer to the International Airport to connect flight for onward destination.